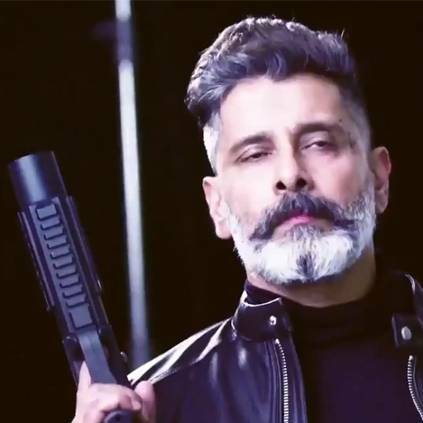 Kadaram Kondan is an upcoming film that has Vikram and Akshara Haasan in the lead roles. It is directed by Rajesh M Selva of Thoongavanam fame and produced by Kamal Haasan under the banner Raaj Kamal Films International. Today, April 17 is the birthday of the film's male lead Chiyaan Vikram, and the team has released the making video of the film. It has Vikram shooting a few stylish shots that sets the heartbeat racing. Director Rajesh M Selva took to Twitter to unveil this short video along with a birthday message for Vikram. He Tweeted: "Happiest birthday to our own #ChiyaanVikram! ❤️ The energy u bring in to the crew & the positivity u transform to the project is amazing!Looking forward for more such collaborations in future.. 😉👍🏼Wishing u a very successful and promising years ahead my dear KK! ❤️#KadaramKondan"
People looking for online information on Akshara Haasan, Ghibran, Kadaram Kondan, Rajesh M Selva, Vikram will find this news story useful.